In the new blockbuster Aquaman movie, the Sea King's enemy Black Manta makes his long-awaited live-action debut. But who is Black Manta? Without a doubt he's Aquaman's most notorious antagonist, and his intellect, as well as his costume design, have made him one of the ultimate super-villains. Like many of the characters who inhabit DC's sprawling sequential universe, he's had multiple origins since he was first introduced over 50 years ago, though it took a decade for fans to see his face and begin to understand who he truly was, and another 20 until he gained a definitive backstory. Black Manta was first introduced in Aquaman #35 (written by Bob Haney and penciled by Nick Cardy) as a devastatingly efficient mercenary who had a particular interest in the King of Atlantis. For the first 10 years of his comic-book life, Manta was portrayed as a physical manifestation of the Atlantean's fears of the surface world. Nothing more than a brutal killer and plunderer who would stop at nothing to achieve his goals, it wasn't until 1977 that Manta removed his helmet and revealed his "true" intentions to the people of Atlantis. It was in Adventure Comics #465 that Manta took of his helmet, revealing the face of David Hyde, a black human male who claimed he wanted to make Atlantis a home for "his people." 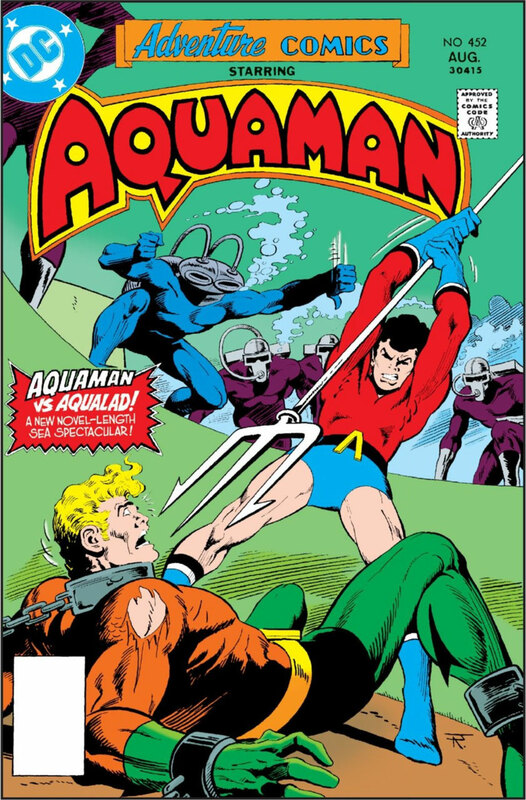 Though his plan would eventually be revealed as a ruse, this issue holds a vital moment in the character's origin as he forces Arthur to battle Aqualad as his son Aquababy is trapped in a bubble. Sadly for Arthur -- and Aquababy -- the King of the Sea can't bring himself to kill his sidekick, leaving Arthur Jr. to suffocate in the oxygen-filled chamber. The death of his son would lead to the breakdown of Arthur's marriage to Mera and an eventual hatred between the two characters. It would be almost 20 years before that we'd get the true story of Black Manta's origin and the reason for his hatred of Aquaman and Atlantis. 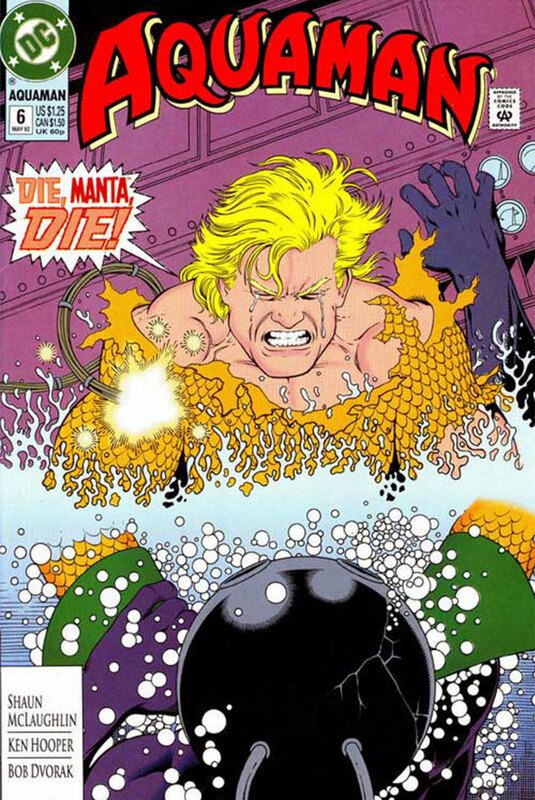 During the '90s relaunch of the series, the creators revisited the murder of Arthur and Mera's son and the man who caused it. In 1992's Aquaman #6, as Manta returned to Atlantis and attempted to lay waste to the city, we were given his first definitive backstory -- that of a young boy who loved the ocean, was kidnapped by nefarious seamen, and forced into servitude on the high seas. During this time, he called out to Aquaman and his dolphin friends for help but they didn't hear him, leaving Manta abandoned and alone and leading to his hatred of Arthur and Atlantis. This was only Manta's first origin though, as in 2003 Aquaman series he was given an entirely new and darker backstory. In this version, Manta was am autistic man who, when he was child, was locked up in Arkham Asylum and experimented on and tortured. His time there not only caused him to become violent and dangerous, but it also gave him mysterious powers. He eventually killed his captors and escaped from the asylum before reappearing as an adult villain. Manta's history is filled with interesting tidbits. At one point he was transformed into a half-manta, half-human hybrid by a demon, and was even a member of the short-lived super-villain team the Injustice League. He served a longer stint on the Secret Society of Super-Villains. During the "Brightest Day" event it was revealed that Manta had retired, and that his real name was indeed David Hyde. This event also introduced a vital part of his backstory which brought in his son Jackson. During a flashback we learned that Manta and his wife were treasure hunters, and that during an exploration of the Bermuda Triangle the pair were captured and tortured by the inhabitants of Xebel. Sadly, after they experimented on his pregnant wife, she died. But their unborn son gained powers similar to those of their captors and was saved by Mera, who feared he might be exploited. Jackson would later became Aquaman's sidekick, the second Aqualad, and a member of Young Justice. 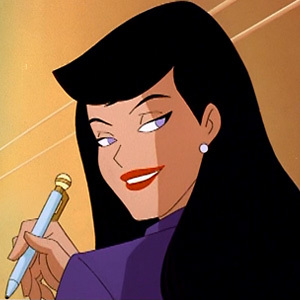 The next definitive version of the character came in writer Geoff Johns and artist Ivan Reis' New 52 run, which also had a huge impact on James Wan's celluloid representation of the character. 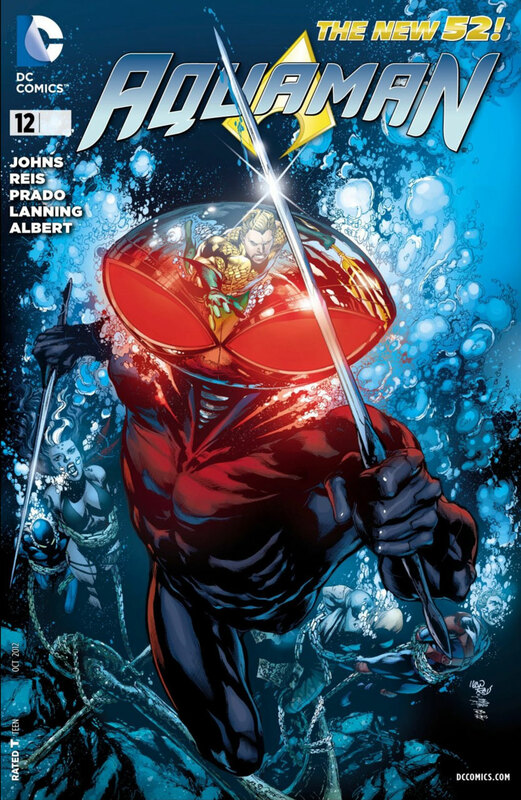 The 2011 reboot of the DC Universe introduced a vital part of Black Manta's origin when Reis and Johns revealed that Aquaman had actually killed Manta's father, creating a new reason for the pair's rivalry. This series also saw Manta almost recruited to the Suicide Squad, and eventually decide that his quest to kill Aquaman was over. That would all change when it came to DC's 2016 Rebirth initiative, which again saw Manta face off with Arthur; and playing a vital role as the narrator of the very first issue 2016's Aquaman: Rebirth #1. Though his presence in the main Aquaman title was slightly reduced, he featured in the Rebirth Teen Titans as he became more and more obsessed with finding his son, Jackson. After he was beaten by his own son, David was rarely seen, though he was featured as a member of the Secret Society in Rebirth's Deathstroke series. 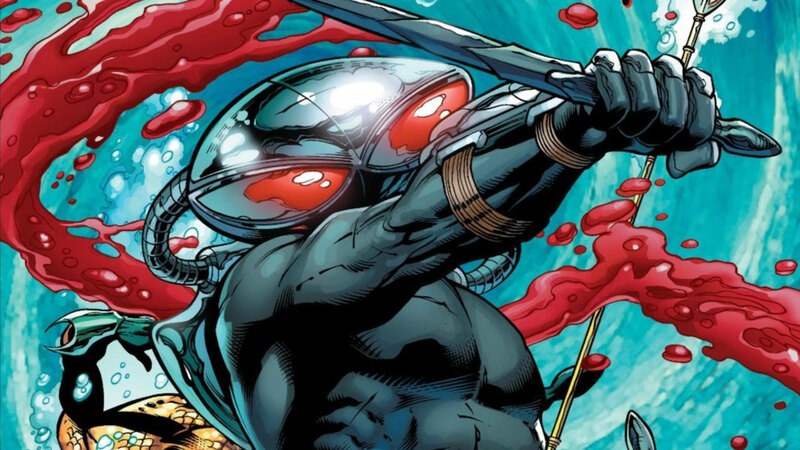 Though he may not be Aquaman's biggest foe in the pages of the current Aquaman comic, Black Manta has long been one of his few true equals. And with director James Wan's new Aquaman film breaking box-office records, Manta is likely to grow more popular than ever in the days ahead. Are you a fan of Black Manta? Let us know in our Community!